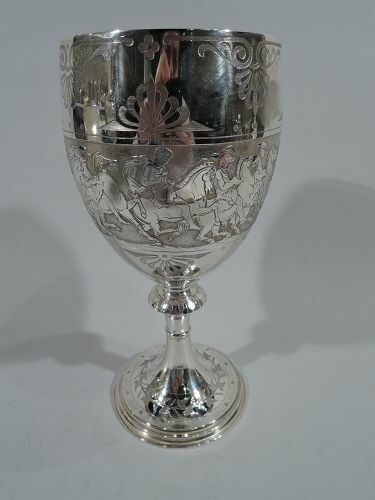 Cut glass and sterling silver vase. 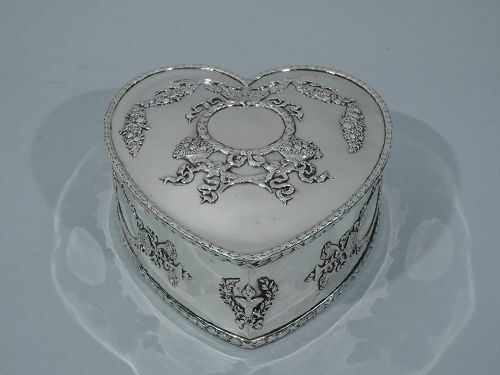 Made by Hawkes in New York, ca 1910. Baluster body with base knop and concave neck. Alternating stripes and lattice, and oval frames acid-etched with flower baskets. Fish scale bottom, faceted knop, and lobed neck. Mouth rim has cut geometric ornament and acid-etched garland. 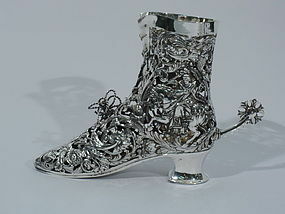 Vase mounted to stepped silver foot. 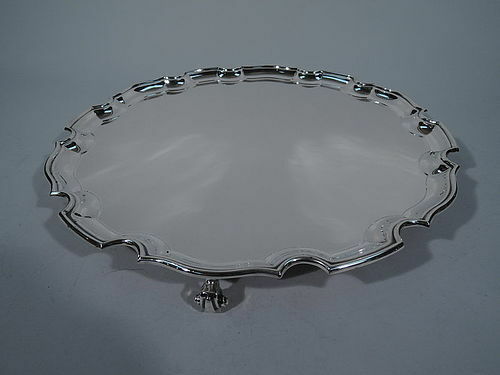 Base hallmarked “Hawkes sterling 155 PWTS.” Excellent condition. 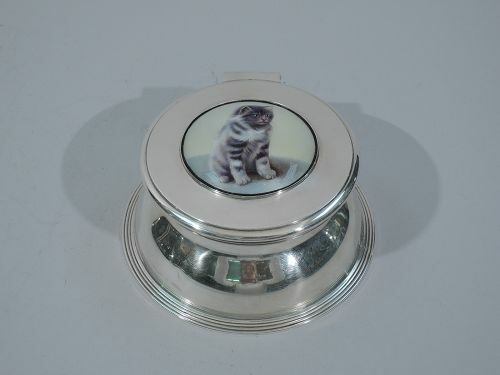 Neoclassical sterling silver desk box. Made by Tiffany & Co. in New York, ca. 1913. 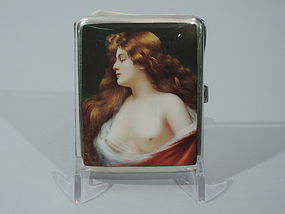 Rectangular with curved and hinged cover. Raised ornament including garlands, dentil, and paterae on sides and cover. On cover is central oval cartouche (vacant). 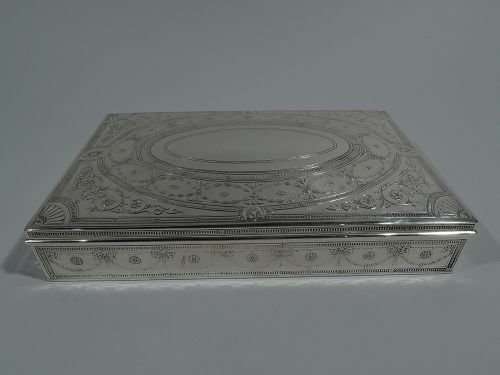 Cover interior lightly gilt. The pattern (no. 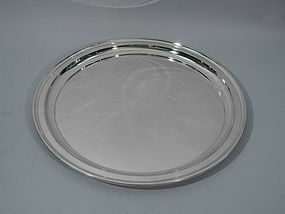 18496B) was first produced in 1913. Hallmarked. Very good condition. 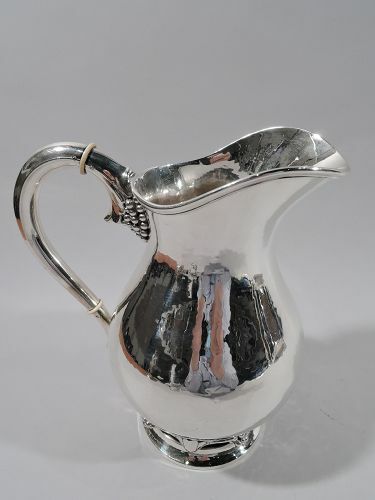 Hand-hammered sterling silver water pitcher. 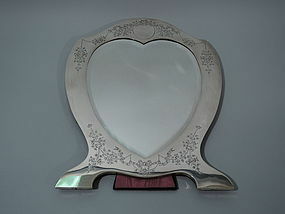 Made by Svend Toxvaerd in Copenhagen C 1950. 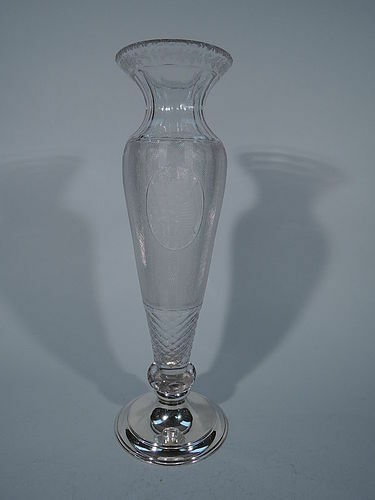 Baluster body, scroll handle with grape-bunch mount, raised foot, wide lip spout, and molded rim. Base encircled with applied grape bunches alternating with stylized flowers. 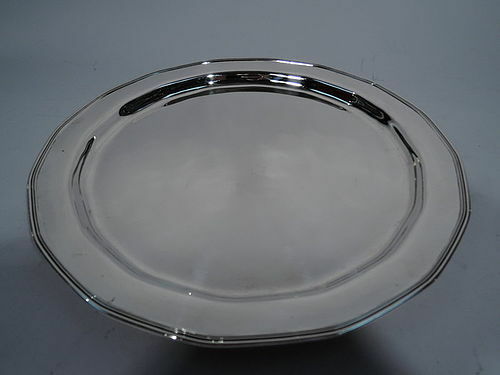 An attractive piece of Danish silver with strong Jensen inspiration.